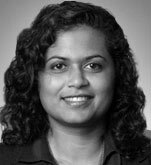 It's IntLawGrrls great pleasure to welcome Sital Kalantry as an IntLawGrrls contributor. Sital is Associate Clinical Professor at Cornell Law School where she directs the International Human Rights Clinic and is the co-founder and Faculty Director of the Avon Global Center for Women and Justice at Cornell Law School. Sital received a B.A. in Government from Cornell University, an MSc in Development Studies from the London School of Economics, and a J.D. from the University of Pennsylvania Law School. She spent her third year of law school at Yale Law School, where I had the pleasure of being her classmate. Prior to joining Cornell Law School, she was a visiting clinical lecturer at Yale Law School where she co-taught a clinic focusing on national security and civil liberties. She also practiced private international law at two major international law firms. Sital has extensive experience working on and supervising projects that utilize litigation and non-litigation strategies to promote international human rights, particularly women's rights and the right to education. Her research, which she discusses in her introductory post below, focuses on using quantitative and qualitative approaches to understand and promote international human rights law. She has received a Fulbright-Nehru grant to conduct research in India on the use and impact of public interest litigation. Her works have been published in, among other places, the Human Rights Quarterly, the National Law Journal, and the Stanford Journal of International Law.